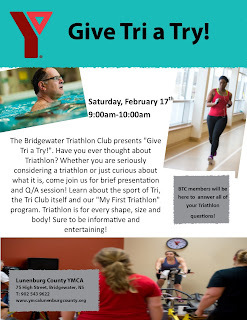 Bridgewater Triathlon Club: Why not, Give Tri a Try? Why not, Give Tri a Try? This Saturday at the Lunenburg County Y, learn about multi-sport and how to get involved.